Azerbaijan, Baku, 26 August / Trend corr. E.Babayev / The presidential contender from the opposition Great Establishment party (GEP) hopes for electorates' votes of opposition parties, which refused to participate in the elections. "I will take serious steps to attract electorates' votes of opposition parties, which will not participate in the elections," MP Fazil Gazanfaroglu, Leader of GEP, told Trend . Azerbaijan will host the presidential elections in October. 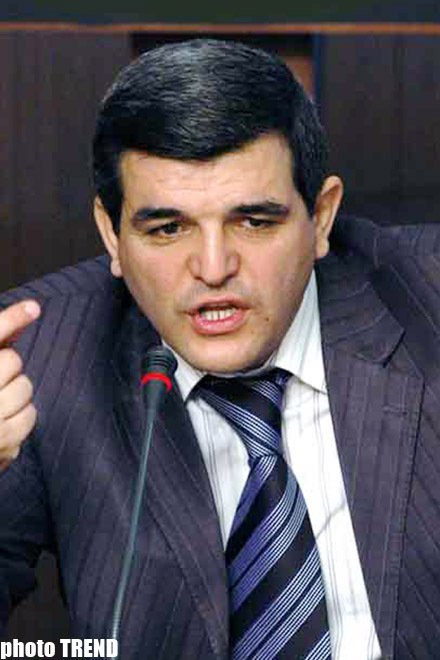 The Azadlig bloc, which unites three opposition parties - Popular Front, Liberal and Citizen and Development), as well as Classical Popular Front, Open Society, Musavat, Civil Solidarity, Democratic, Great Establishment, Azadlig parties and Eldar Namazov, head of the Public Forum For the name of Azerbaijan refused to participate in the forthcoming presidential elections. So far, 18 candidates have pretended to the presidential post in Azerbaijan. Seven candidates are from political parties - ruling New Azerbaijan party (NAP) - Ilham Aliyev, Great Establishment -Fazil Gazanfaroglu, Umid -Igbal Agazase, Muasir Musavat- Hafiz Hajiyev, Popular Front of Unified Azerbaijan party - Gudrat Hasanguliyev, Liberal and Democratic- Fuad Aliyev, and Green party of Azerbaijan - Mais Gulaliyev. According to Gazanfaroglu, non-participation by some opposition parties in the elections will not have serious influence on the election process. "Our participation will make the elections more active process. I am sure that you will witness how most part of opposition electorates will also stick to active position," Gazanfaroglu said. The process to collect the necessary 40,000 signatures to register his candidature has been commenced. "I do not intend to create a bloc. GEP will continue to hold consultations with the Democratic Election Centre (DEC). DEC unites several parties. I hope to get support from parties represented in the organization," MP said. Gazanfaroglu added that he had formed his lection headquarters. "The election headquarters have been formed completely and it is headed by Ajar Aliyev," GEP Leader said. Great Establishment party was founded in 2004. In 2005, party held the state registration.